Hello to you all, we are going to continue on with the medium size dog breeds recognized by the American Kennel Club and we are only about half-way through them so we still have a very long way to go in order to cover all the breeds. The Petit Basset Griffon Vendéen, originated in the Vendée district of France, a scent hound breed that was bred to trail hares in the bramble-filled terrain for hunters in packs. This medium-sized breed stands 13 to 15 inches at the shoulder, weighs 33 to 44 pounds, and has a life expectancy of 12 to 15 years, the shaggy-coat comes in black & tan, black & white, fawn & black, white, and tricolor. 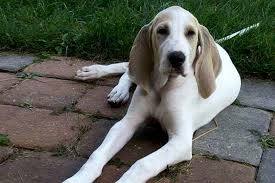 They were bred to hunt in packs, the French rabbit-hunting hound is an extrovert with a long body and a loud houndy bark. Petit Basset Griffon Vendéen have temperaments of lively, independent, friendly, happy, active, and proud. These make a super family dog with children due to their rugged build for playing and they enjoy company so taking them with family on outings makes them even happier. With other pets they do exceptionally well because they were bred as pack dogs for hunting so having a friend or two keeps them social. They can even be a companion dog for the elderly with daily walks to the dog park and spending time with their human you have a content pal for life. 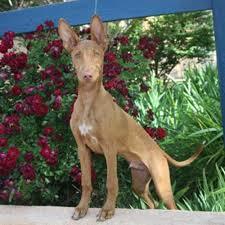 The Pharaoh Hound originated from Malta and is the national dog there, a Maltese breed of dog and in the Maltese known as Kelb tal-Fenek, which means “rabbit dog”. Traditionally was used for hunting rabbits in the Maltese Islands. A medium-sized breed built for speed standing 21 to 25 inches at the shoulder, weighing 40 to 60 pounds, with a life expectancy of 11 to 14 years, the short tight coat in tan, red golden, rich tan, or chestnut and the matching leather on the nose, ears, and eye rims. They will have amber eyes, usually a white tipped tail, and the ability to smile, known for being the ancient “Bushing Dog” they have a unique way of blushing when happy or excited. Pharaoh Hounds are very affectionate with children making a wonderful family pet, generally will get along with other dogs but some might have an aggressiveness towards dogs of the same gender. They may view smaller animals as prey so not a good bred to have with small pets such as rabbits, cats, or small toy dogs. They are affectionate, sociable, intelligent, playful, active, friendly, and trainable, due to the amount of exercise required this breed can adapt to apartment living with around 40 minutes a day of active walking and play. Another good breed for a companion for the elderly. that were brought to the states ended up in the hills of North Carolina and were then breed for hunting bear, although they are not a well-known breed of dog they are the state dog of North Carolina as of 1989. A scent hound that stands 20 to 28 inches at the shoulders, weighs 40 to 60 pounds, and has a life expectancy of 12 to 14 years, the flashy coat comes in an array of brindle stripe patterns and colors including black, black brindle, blue brindle, red brindle, tan brindle, and brown brindle that is flecked with gold to flaming orange and russet. The Plott Hound curious name and unique history is an interesting read they were named after the Plott’s who brought them here from Germany and kept the line pure until around the 1800s or after that time. Plott Hounds will get along with other dogs since they were bred as a pack breed for hunting and do best in homes where they are not the only dog, socialization is a must for this breed to prevent them becoming highly dominant and to avoid aggressive behavior. They are bold, loyal, alert, fearless, and intelligent they can be good candidates for a family pet but supervision with children is recommended. Being a scent hound with natural instincts for hunting gun dog breeders know them for the willingness to please and their loyalty. They are one of the good breeds for a watchdog, but not recommended for apartment living or for the elderly as a companion dog. The Polish Lowland Sheepdog originated in Poland a medium-sized breed with a shaggy-coated sheep herder with a coat that covers their eyes and the penetrating gaze that is common in watchdogs. Nicknamed PON is the acronym for the Polish breed, Polski Owczarek Nizinny, that stands 17 to 20 inches at the shoulders, weighs 30 to 50 pounds, and has a life expectancy of 12 to 15 years. The double coat that covers them from head to tail is long and shaggy on top but soft and dense underneath and they are considered one of they hypoallergenic breeds. Natives to Poland the city dwellers love the watchful companion dogs that are adaptable and hard-working as herders. You can find this shaggy breed in black, tricolor, gray, brown, beige, and black & white. A Polish Lowland Sheepdog can do apartment living as long as they get plenty of exercise daily like going to the dog park they are good with other dogs but will not back down if they feel threatened. Beloved by family as a wonderful pet with children they are self-confident, lively, agile, intelligent, even-tempered, alert, adaptable, playful, energetic, affectionate, and perceptive. A great companion dog but with a possessive temperament that inclines him to steal stuff. 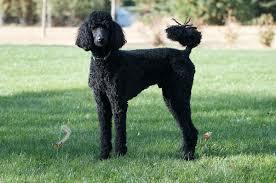 The Poodles originated from France and Germany, with a prominent dispute over whether the poodle descends from Germany as a type of water dog, or from France and the French Barbet. They do come in three sizes the ones here today are going to be Standard (medium-sized Poodles) and then of course you have the Miniatures and the Toys from earlier. The aristocrats of the dog world in the Standard size are 18 to 24 inches at the shoulder, weigh 45 to 70 pounds, and has a life expectancy of 12 to 15 years. The hypoallergenic curly coat comes in black & white, silver, brown, gray, blue, sable, cream, white, black, and apricot. A Standard size Poodle can make a great family pet for a child who has allergies and can handle the play time with them being an athlete in disguise. They make great companion dogs being alert, intelligent, instinctual, faithful, active, eager, and the trainable Poodle is just a great all around breed. The Porcelaine originated from France a breed of the oldest French scent hounds known its alternate name is the Chien de Franche-Comté named after a French region bordering Switzerland. 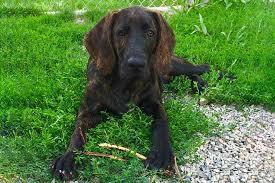 A gun dog known for being a fierce hunter used for small game they drive the prey to the waiting hunters. A Porcelaine is of course white with possible tan markings, they stand 21 to 23 inches at the shoulders, weight 55 to 62 pounds, and have a life expectancy of around 10 years. Bred as a hunter to hunt in packs they are good with other dogs just not small house pets like cats. Known for their gentle nature and love for attention the breed can be trained as a medical therapy, medical alert, medical service, police public relations, and a search and rescue dog. Being fond of their owners, family, friends and children they love to take part in all family activities. A Porcelaine will excel as a house pet is easily crate trained and housebroken. Not a shy or timid breed looking for a pat on the head or a hug when you walk past, still you must remember with a high prey drive to consider careful handling and housing. The melodious baying call while hunting is not a nuisance while indoors they tend to be quiet or in their kennel. The Portuguese Pondengo originated from Portugal an ancient multi-sensory hound breed, divided into three size categories that are not interbred, small, medium, and large. Breed as hunters the large were used to hunt deer and boar while the medium was used to hunt mostly rabbits or small game. Standing 16 to 22 inches at the shoulders (medium) or 22 to 28 inches at the shoulders (large), weighing 35 to 45 pounds (medium) and 44 to 66 pounds (large), having a life expectancy of 12 to 14 years. Portuguese Pondengos come in two coat types either short and smooth or longer and wired, in colors of black, gray, fawn, orange, chestnut, and gold. Used for hunting in packs or along this breed has the ability to jump straight up and must have a high fenced in yard, the multi-sensory hunter gets excited when seeing the prey and this is the reaction so fencing is required to keep them safe. Portuguese Pondengo will make a good family pet with children if raised with them they are hardy, lively, friendly, active, tolerant, compliant, and companionable. Highly intelligent however, not always easy to train, loving with family members and can be suspicious of strangers preferring to greet them on their own terms making them an excellent watch dog. Active families will do well with this breed they want to be involved doing things such as nose work, barn hunt, coursing, and agility training. No one has time to play with them that is alright they will entertain themselves with toys and chase each other around the house and yard. They do well with other dogs their own size or larger and not recommended for households with other small pets due to their prey drive. I do not recommend them for the elderly due to the high activity level. We have covered some terrific hunting breeds today along with a herder and one of the aristocrats of the dog world, a few that do come in multiply sizes as well. A couple of the breeds will make good companions for all involved and some that are recommended for highly active families and will need the extra care of fenced in yards due to their abilities and prey instincts. Find a breed that is of interest to you? Remember we still have a long way to go before I will have all the breeds completely covered here at Delightful Doggies 4 U, but I will be adding a complete list of all the breeds in the near future so that you know what is left that has not been covered yet. I love hearing from all my readers and appreciate all comments, suggestions, and questions please leave them in the space provided below. I answer all of them within 24 hours. I am a dog lover, and although I didn’t recognize most of these Medium ‘P’ breeds, I surely did enjoy reading about them. I think my favorite is the Porcelaine. Thanks again for sharing this fun and factual post and I will definitely be bookmarking this site because I love learning about dogs. So nice to find another dog person. I have built this website to include all dog breeds and researching each breed is taking some time to get them all put on there but people are really enjoying the website. As time goes on I plan to add more information about ailments, heiritary problems, tips for care, etc. to help dog owners with keeping all the information in one place. Thank you for sharing the characters of these medium size dogs. I used to have a husky, boy my Shiro was a handful lol but we had great time together. Shiro passed 3 years ago because of his age. 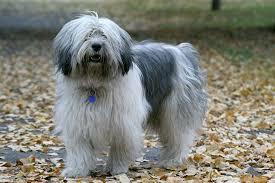 The Polish Lowland Sheepdog is adorable, he will be perfect for my apartment. However, I have a question, what will happen if he doesn’t get enough exercise l? Will he get upset and destroy my stuff? I experienced that with my late Shiro and want to know what will I get myself into. Thank you for stopping by today, however, to answer your question. The Polish Lowland Sheepdog can work well with apartment living if you are willing to give them the exercise required. Any breed can have a tendency to become destructive if left alone for too long. Dogs are social animals and need human attention. For you to have this breed they require early socialization as puppies with other animals and people. Mental simulation is good as well as the physical activity. Loyal is great but with this breed they can become over protective so you know. Crate training at a young age for when you plan to leave them alone is recommended. Very interesting read on doggies. It’s really difficult to choose if I have to. What I find interesting is they also have different natures like humans. Some seem more friendly, tolerable, lively and companionable, while others are totally against. Its also interesting that we can choose doggies according to our family type, as you said some are good companions for highly active families. So many breeds, I have read that there are 340 total breeds but the American Kennel Club currently recognizes only 167 breeds. Is this true? Thank you for stopping today and reading about the doggies in this group. Yes, it is very advisable to shop for a dog as a pet, some are great for families with children while others you do not want to have with smaller children but older children would be alright. Every single dog has a personality which will be different than the next even within the exact same breed. I have three Pit Bulls – each has a personality quite different from the other – this is every animal you will find just like humans. Really enjoyed reading your post, Susan. 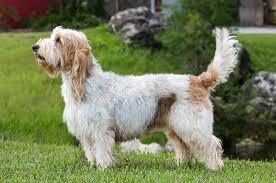 Kind of fell in love with the Petit Basset Griffon Vendéen. One question about the breed though. Is it a shedding breed? My wife and I have had only dogs that don’t shed. She had a beautiful Airedale Terrier when we got married and since then we have had a Lasso, Shitzu, Border Collie cross, (dad was the Collie??) and a Cairn Terrier/Poodle, Havanese Cross. They had/have very different personalities. The Lasso cross was very loyal and cuddly. Mostly my boy. I think he picked me when we were looking at the litter. Also good with other dogs until he had a close encounter with a bigger dog. Peanut lived to be about 15 1/2 years old. The other one, Jersey, although loyal and cuddly, (likes to park on my lap), seems to be a little needier since he lost his best friend. However, he can be independent when he wants to be but is always glad to have us around, which will be a lot more in a couple of months after we retire. 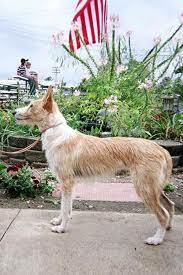 The Pharaoh Hound looks interesting as well. The picture makes it look very inquisitive/curious. Is this true of the breed? This is a great niche/topic and I hope many find your site, especially those that are looking for that special breed and what it takes to be an animal’s best friend. You might find the Petit Basset Griffon Vendéen a handsome and wonderful breed, which of course they are, but for shedding, yes, they do! With the shaggy dog they are you will need to be constantly cleaning up after them. The long coat has a habit of knotting needing regular brushing to keep it free of matting. The long beard absorbs food and water when they eat and drink so as a prior dog owner you know what this means. Now the Pharaoh Hound I feel would be more to your liking they have a smooth short coat and running a rubber hand brush over them will keep the coat clean and shed free. They do not have the doggie odor like other dogs! The only bad habit with this breed would be they love to chase other animals for fun 🙂 Normal daily exercise of walks and they do fine. Thank you for taking the time to look at these breeds anytime you are welcome to browse the others – I have many more to add – the research takes a little time I try to make sure to give specifics on each breed.